Cookies are a staple of life. Well, at least they are in MY house. My kids could easily scarf down an entire box of cookies in one setting, if I let them. Due to the amount of sugar in them, that’s a big no-no. Not wanting to be “that” mom, I knew that they would still want treats from time to time, and something quick and easy was needed. Something with less sugar, less junk, and still delicious. Something easy to pack for lunches, road trips, or for grab and go eating. 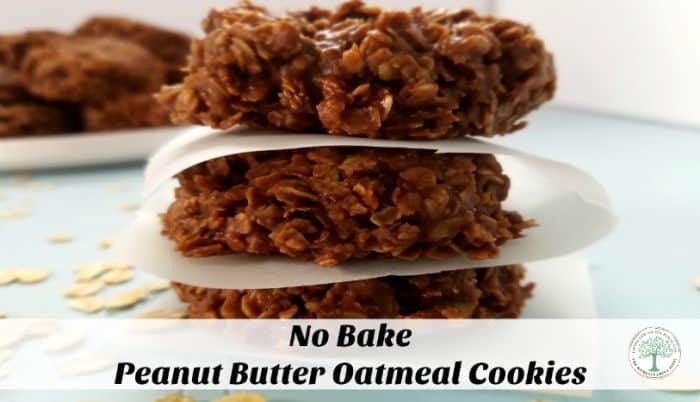 I bring you the no bake peanut butter oatmeal cookie. 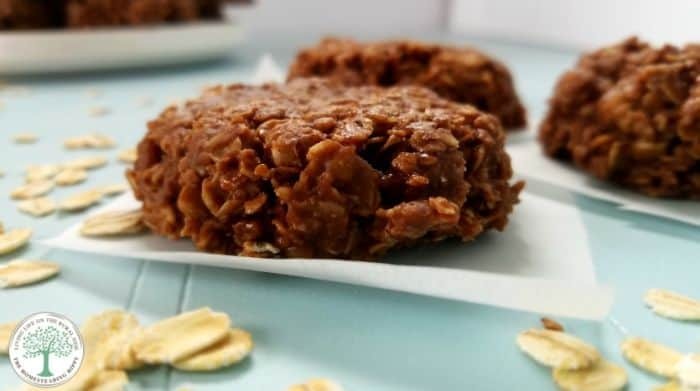 A cookie made with wholesome ingredients like oats, peanut butter. A cookie where you can control the type of sugar in them. Instead of white processed sugar, I used coconut sugar. It gives them a GREAT flavor and the blood sugar impact is far less. The best part of this cookie is that you can change up the recipe to suit your needs! If you need a dairy free option, sub the butter for coconut butter, and the milk for coconut or almond milk. Trade sunbutter for peanut butter for a nut free option. It’s all delicious! And, if you need a NO sugar option, try using this sugarfree blend in your cookies! Mix the first 4 ingredients in a medium sauce pan. Bring to a gentle boil, then remove from heat. Add in oats, coconut, and vanilla and stir well to combine. Drop by tablespoon full onto a sheet of waxed paper and allow to cool completely. They store well in an airtight container and can freeze easily. I like to make a double, or triple batch as handy snacks to take with us after taekwondo too. What is your favorite cookie to make? Will you try these? Love coconut. Those cookies look amazing! 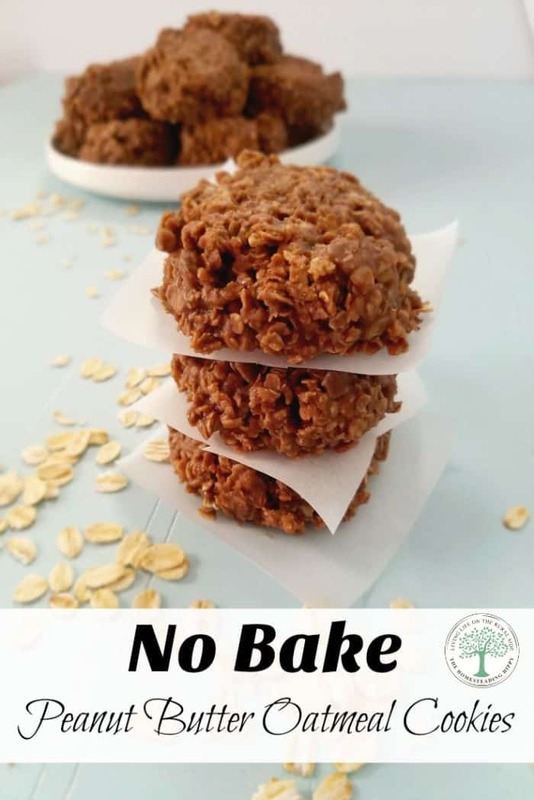 I love no bake cookies, this is a great recipe! Thanks for sharing and for the giveaway. I’m in! If it has chocolate and peanut butter, I will love it. True Confession. I’m up late catching up on my favorite green blogs spotted this and thought … I can sub almond butter for that peanut butter and have these ready for the boys tomorrow. I’m currently having to hide them from myself to keep from eating them. YUMMY. 🙂 Here is hoping my boys get a bite.